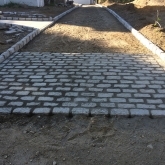 Another one of Roots Landscaping’s area of expertise is masonry. 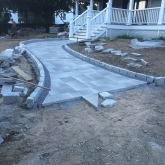 Whether you want to fix a brick walkway, build a backyard patio to entertain guests, or anything else, we can help you achieve those goals and dreams. 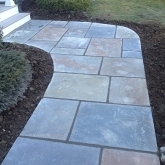 Since 2000, we’ve been providing exceptional masonry service to the Easton, CT area and beyond. We take pride in our work. It is important that masonry is done correctly not only because it looks better, but because it is safer too. 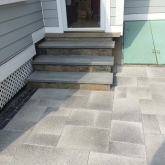 We want you to come home and fall in love with your patio, walkway, fireplace, etc. and not be worried about twisting your ankle either! Even if you are unsure of what you want, Roots can help you decide on styles, colors, and more. 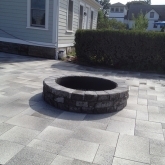 Roots Landscaping has been rated as one of the best local masonry firms in Connecticut. Go ahead, look on Google and Yelp and see for yourself! We strive to provide the best customer service and hire professionals who know how to get the job done. Roots Landscaping has a large selection of stone and brick because we want to give our clients a variety of options to chose from. We understand that having to choose from hundreds of different building and landscaping materials is stressful, but we’re here to help you out as much as possible. We will provide suggestions and alternatives and ensure that you get the best materials for your project. We’ll work with you on an individual basis to help you choose stone and brick products capable of showcasing your real estate in the most attractive way! Here at Roots Landscaping, we want our clients to be satisfied. Call us and talk to one of our dedicated professionals about your next project! 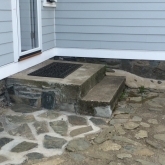 Not only do we provide masonry services for homes, we provide them for businesses as well. We provide the best contractors to cater to every need you may have. 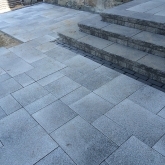 Call us to set up a time to meet so we can discuss your business masonry needs in more detail! 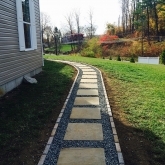 Root Landscaping strives to furnish the most highly rated masonry installation, restoration and repair services in Easton, CT. We welcome the opportunity to introduce you to our firm and its dedicated team. We also offer experienced landscaping and fencing assistance. For further information, call us now at 203-304-7326.